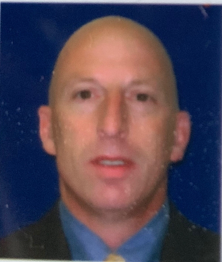 Jeffrey Scott Appling, 52, of Rutherfordton, passed away February 1, 2019. He was born in Mecklenburg County, NC and was a son of the late George Larry Appling, Sr. and Mary Ellen Stutts Appling. Jeff spent his career with the NC Department of Public Safety- Probation and Parole Division where he last served as Chief Probation and Parole Officer for the Rutherford and McDowell districts until his retirement. Upon retiring in 2017, he was awarded The Order of The Long Leaf Pine by the Governor of North Carolina. He was also a property manager for twenty four years and a graduate of Gardner-Webb University. Jeff enjoyed spending time with his golfing buddies and he was an avid NC Tarheel basketball fan. Survivors include his wife Olivia Burleson Appling of the home, his children, Jaxon Jefferson Appling, Cyrus Scott Appling, and Eula Pearl Appling, all of the home; and brothers, Jon Appling, and wife Jennifer of Palm Bay, FL, George Larry Appling, Jr. of Dallas, GA, Clay Williams, and wife Debbie of Belmont, NC and David Williams of Atlanta, GA; and also a nephew Dalton Scott Appling. A memorial service will be held 2 pm Wednesday February 6, 2019 in the Padgett & King Chapel. The family will receive friends prior to the service on Wednesday from 12-1:45 pm. In lieu of flowers memorial contributions may be made in Jeff's name to the Town of Rutherfordton Parks and Recreation Department, 129 N. Main St., Rutherfordton, NC 28139. The Padgett & King Mortuary & Crematory is serving the Appling family. An online guest registry is available at www.padgettking.com.